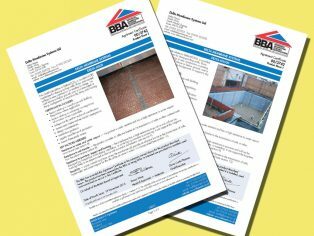 Two of the most popular products in the range from Delta Membrane Systems – MS20 and MS500 – have, once again, been awarded British Board of Agrément Certificates. Yet again these products have been shown to be fit for purpose with the award of Certificate No. 00/3742. 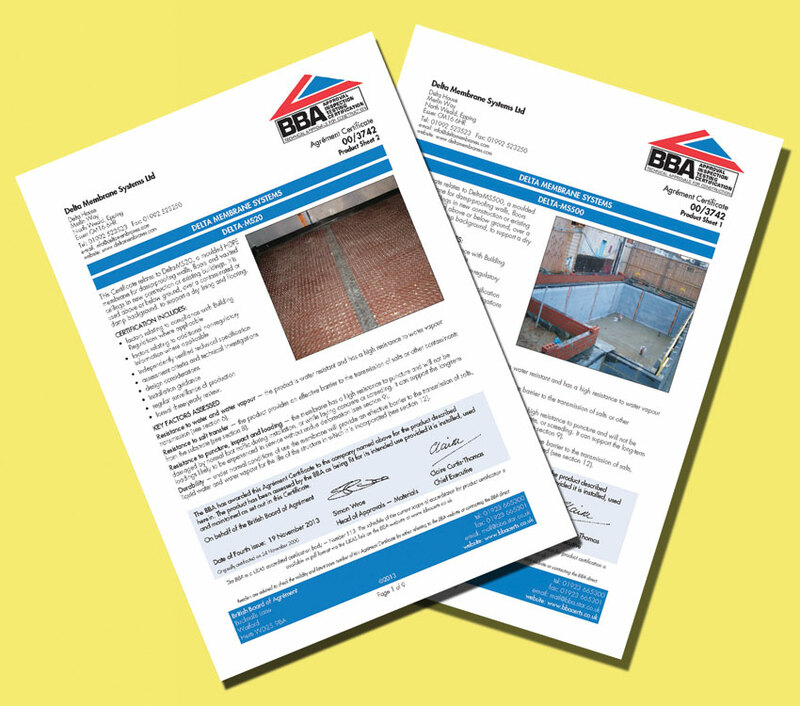 Part of the BBA formal three yearly review, these new certificates include factors relating to compliance with Building Regulations and additional non-regulatory information where applicable, along with independently verified technical specification, assessment criteria and technical investigations. Design considerations and installation guidance also feature. Delta MS 20 is a compression-resistant, durable dimpled sheet made from special high density polyethylene, and is suitable for use as damp proofing on walls, floors and vaulted ceilings. This heavy gauge option has 20mm deep studs, and can be used in situations where extra drainage capacity is required, or a larger flow rate is needed. It can also be used as a cavity former for many types of new construction. Benefits offered with the Delta MS-500 cavity drainage membrane from Delta Membrane Systems include resistance to chemicals and root penetration, and neutrality with drinking water. Ideally suited for use in refurbishment or creation of basements, this product is part of the Delta System 500 package for basement work. It is also available with a mesh for plastering direct (Delta-PT), or with a 3mm profile (Delta-FM) for use where space loss is ultra critical. It also offers an efficient and cost-effective alternative to traditional sub-base courses made from lean concrete. Made from high density polyethylene, MS-500 is a 0.6mm thick membrane with 8mm studs, allowing water to effectively drain. The drainage capacity is 135 litres/min., or 8,100 litres/hr..